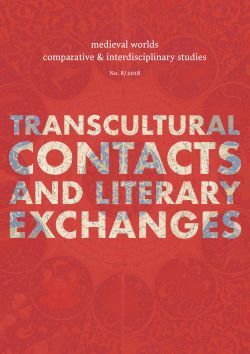 The ERC funded project BuddhistRoad aims to create a new framework to enable understanding of the complexities in the dynamics of cultural encounter and religious transfer in pre-modern Eastern Central Asia – the vast area extending from the Taklamakan Desert to North-east China. This region was the crossroads of ancient civilisations. Its uniqueness was determined by the complex dynamics of religious and cultural exchanges gravitating around an ancient communication artery known as the Silk Road. Buddhism was one major factor in this exchange; its transfer predetermined the transfer of adjacent aspects of culture, and, as such, the religious exchanges involved a variety of cultures and civilisations. These, in turn, were modified and shaped by their adoption of Buddhism. In many cases the spread of Buddhism overrode ethnic and linguistic boundaries in Eastern Central Asia creating a civilisational whole, which, despite its diversity, shared a set of common ideas originating from Buddhism. One specific aspect of this process in Eastern Central Asia was the rise of local forms of Buddhism. This project intends to investigate such Buddhist localisations and developments that took place between the 6th and the 14th centuries. At the core of the BuddhistRoad investigation are the areas of Khotan, Kucha, Turfan, Ganzhou, Dunhuang, as well as the territories of the Tangut and Khitan empires. The analysis will revolve around thematic clusters pertaining to doctrines, rituals and practices, the impact of non-Buddhist influences, patronage and legitimation strategies, sacred spaces and pilgrimages, and visual and material transfers.